Most state and national constitutions lay out broad principles, set the basic structure of the government, and impose limitations on governmental power. Such broad provisions are included in the Alabama Constitution. 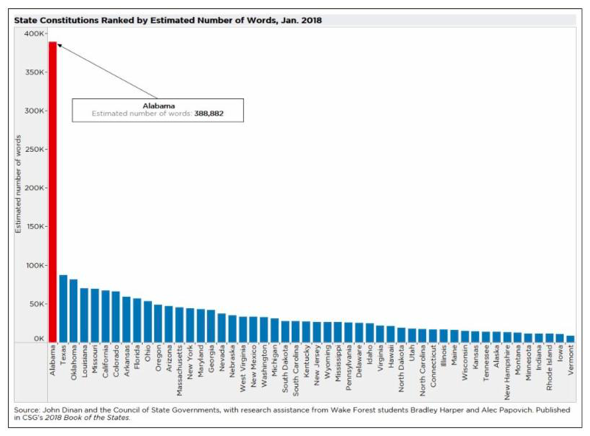 However, Alabama’s constitution delves into the minute details of government, requiring constitutional amendments for basic changes that would be made by the Legislature or by local governments in most states. 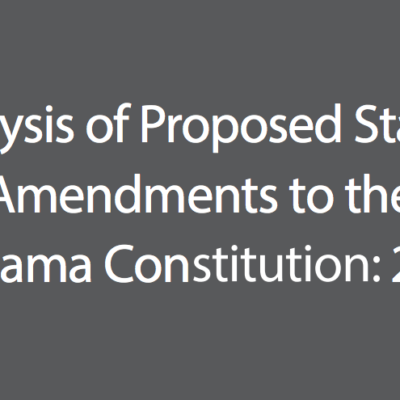 Instead of broad provisions applicable to the whole state, about three-quarters of the amendments to the Alabama Constitution pertain to particular local governments. Amendments establish pay rates of public officials and spell out local property tax rates. A recent amendment, Amendment 921, grants municipal governments in Baldwin County the power to regulate golf carts on public streets. Click here to view PARCA’s nonpartisan analysis of the four amendments that will be voted on statewide.